Well, at least hubby and I think it’s the best granola in the world! notion that I like to cook. I do not. I have done it for the last 25+ years and will continue to do it out of necessity. I have told hubby that in my dreams when he retires he will take over ALL of the cooking. I’ll clean up any day! Not like that will happen any time soon. He really enjoys cooking, he just works sooo many hours that he can’t. Oh, well, He does make me breakfast on the weekends, so I’m grateful for that! What I do enjoy, is baking. That’s because I am a sugaraholic and I love sweets way tooo much. Anyway, enough of that, on to the WORLD’s Best Granola!! This recipe I tweeked until I got it just right. It had to be perfect, we use this stuff almost everyday! Get out a 9X13 pan. 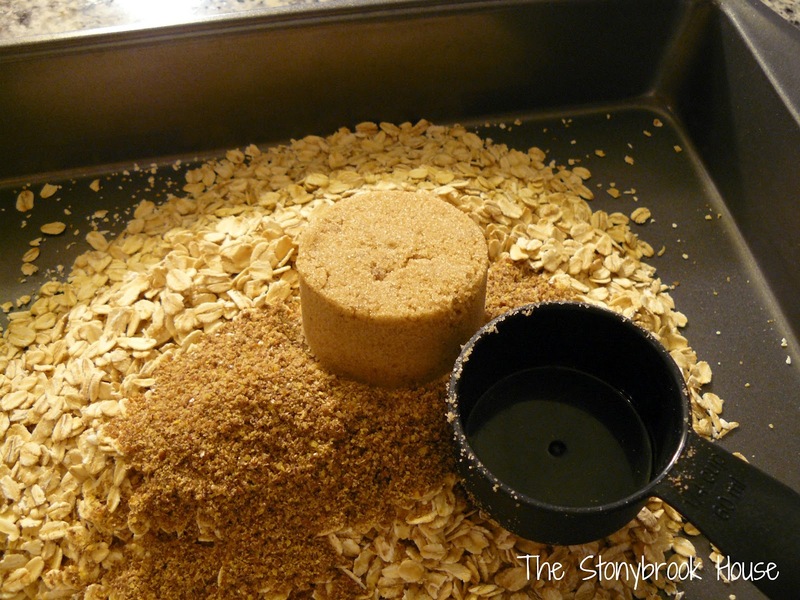 This is sooo easy to make…. Mix this until well blended. I usually have to mash the brown sugar to break it up. Now in a small cereal bowl, that you can microwave in. and add ½ cup of applesauce. Then add 1 Tbl. of honey. Mix that around and pop it into the microwave oven for 30 seconds on high. and stir, stir, stir until it is well blended and coated. Now I set 2 timers…. One for 1 hour and the other for 10 minutes. Only because I could keep setting the one for 10 minutes, but I would inevitably forget how many times I had set it. So, now no thinking! This needs to be stirred every 10 minutes for 1 hour. Let it cool, and store it in a plastic container. It doesn’t need to be refrigerated. Well, it should stir easier and it has a nice dark caramel color to it. Plus everyone in the house will ask you if you're baking an apple pie. Dig in!! This is amazing! So, here’s the recipe you can copy if you like. Enjoy!! In 9X13 pan mix first 5 ingredients and mix, set aside. In a small bowl mix remaining 3 ingredients and heat in microwave for 30 sec. on high. Stir, then repeat. 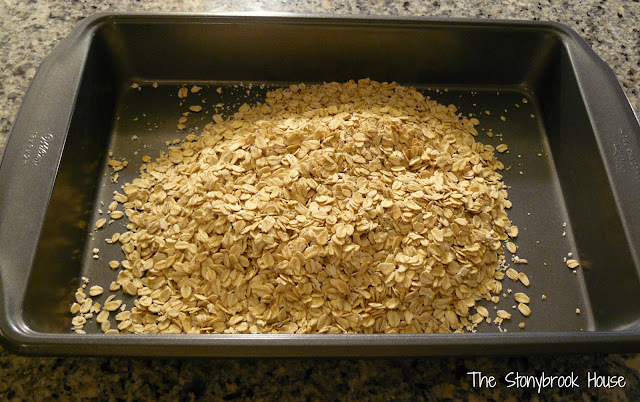 Mix applesauce mix into the oats mix and stir until well coated. Bake for 60 minutes, stirring mixture every 10 minutes. Use 2 timers so you don’t lose track like me… Cool and eat! Yum! This looks yum! And the photos make it look I can eat it right off the screen. I'll have to try. Thanks for stopping by my blog and commenting on my orange lamps. Your blog looks great. Thanks, Sarah! Hope you like it too! Congrats too on being featured on Addicted2Decorating--I recognized your file folders as soon as I saw them. Great work. Awww Thanks, Sarah! Congrats on your feature too at Here Comes the Sun! Looks so delicious! I believe you when you say its the best! Going to have to try ti ASAP! Thanks, Kelley! I hope you like it as much as we do!! Mmmmm...sounds yummy! I'm always looking for inexpensive alternatives to pricey breakfast cereal. Thanks for sharing. I'm pinning it! Thanks, Deborah! I love cheap and easy! Hope you like it! This looks amazing! 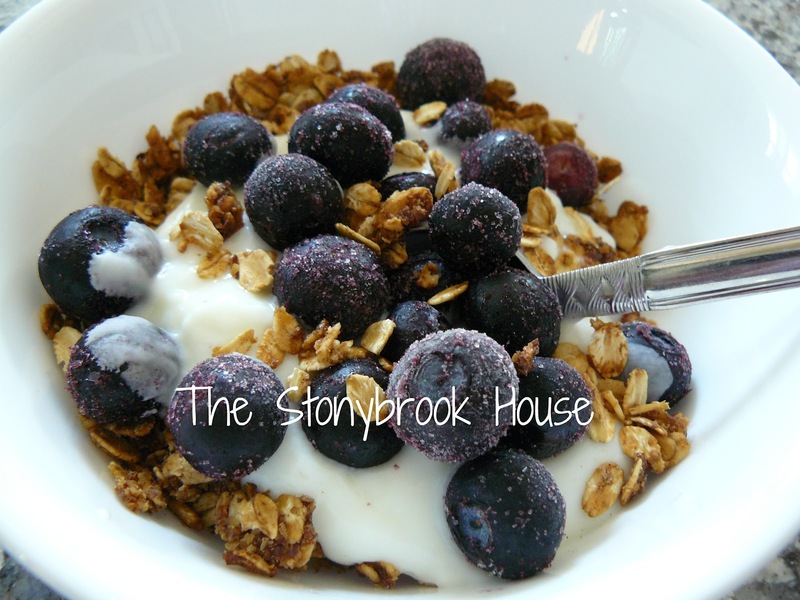 I'm always looking for relatively healthy granola for my yogurt in the morning and this fits the bill! Thanks for the recipe! This looks so yummy! Great pic!! I too, am picky about store bought granola...most is waaayy tooooo sweet for me! Love this recipe. Gonna try it! and hey...I'm going to Haven too! Would love to meet you! Excited to be a new follower! Hi Janis! Oh, good! I think you'll like it.... I'm sooo excited for Haven! I would love to hook up and meet you too! I checked out your blog, LOVE IT! I followed you back! This looks great. I will be featuring it tonight at my Swing into Spring party that opens at 8pm EST. Please stop by and pick up an I've Been Featured button. Thanks. Hi Sarah! This is sooo good and easy! Pin away!! I sooo want to try this! I looks super yummy and I love that it's made with applesauce, instead of a lot of butter. Pinned! Thanks so much for sharing at Terrific Tuesdays. Yay! Thanks, Rachel!! It is sooo good! I hope you like it as much as we do! I'm with ya, I hate chewy granola! I've been searching for the perfect recipe. Does it 'clump' at all? Hi! Thanks for stopping by! This recipe clumps slightly. 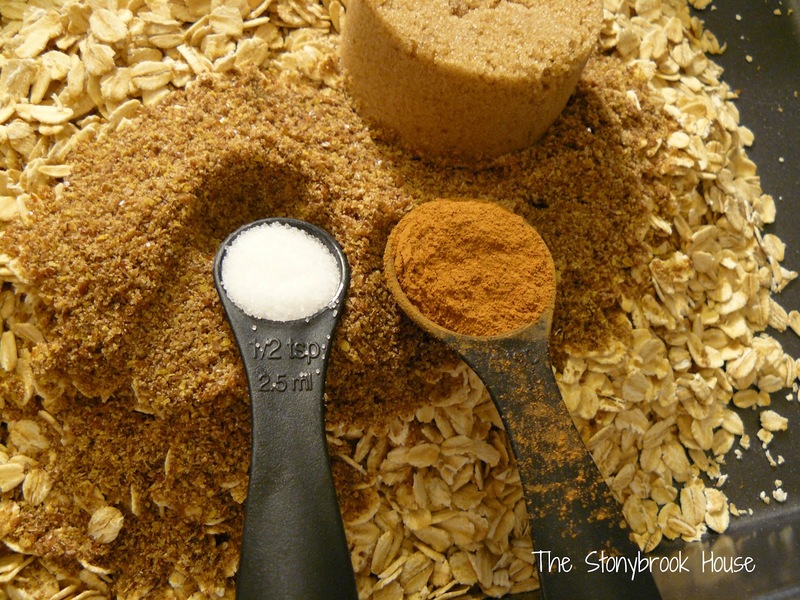 Where the brown sugar may not have broken up. It's so tasty though!! Hope you enjoy it! 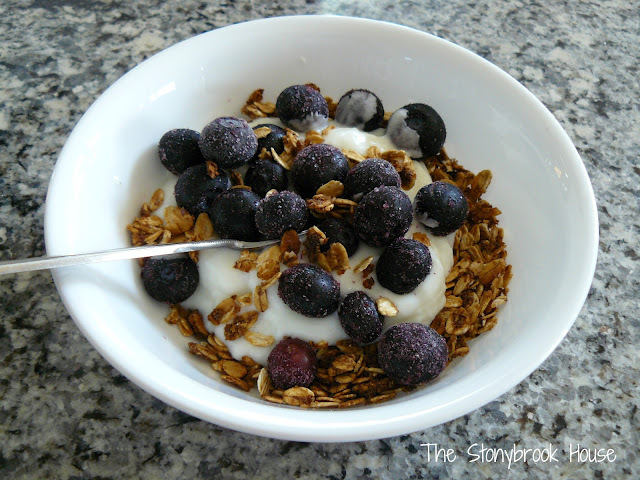 My family loves granola with our yogurt, and I make my own. I've never tried it with applesauce, I'll have to check it out. Thanks for the recipe! Hi Patricia! I'm so glad you stopped by! It's so good and EASY!! Hope you like it, too! Your granola looks wonderful, I really like the addition of the apple sauce! 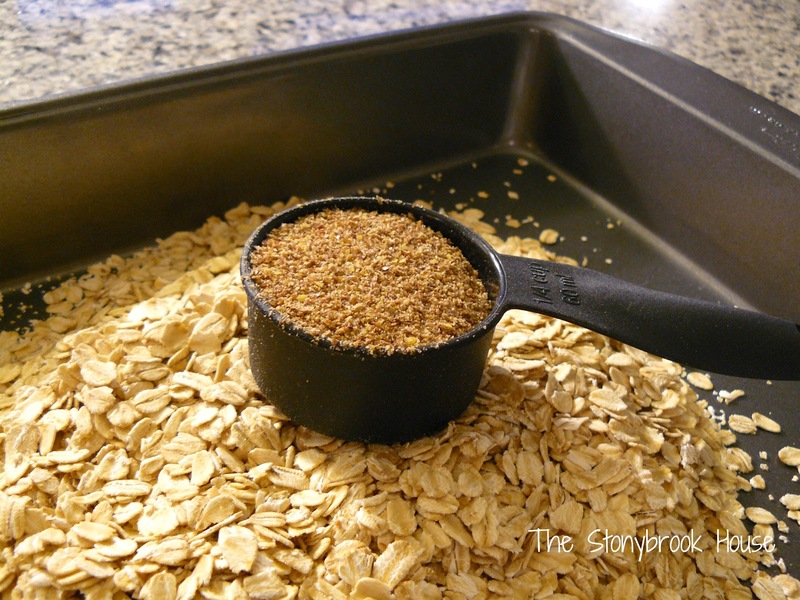 I love making granola at home too, it tastes so good, plus you can add in whatever you want and regulate the amounts of oil and sugar! Thanks for sharing your recipe, I'll have to try adding the apple sauce next time! Thanks, Maria! I really like the applesauce in it! Enjoy!! Thanks, girls!! It was my pleasure! That granola looks wonderful. 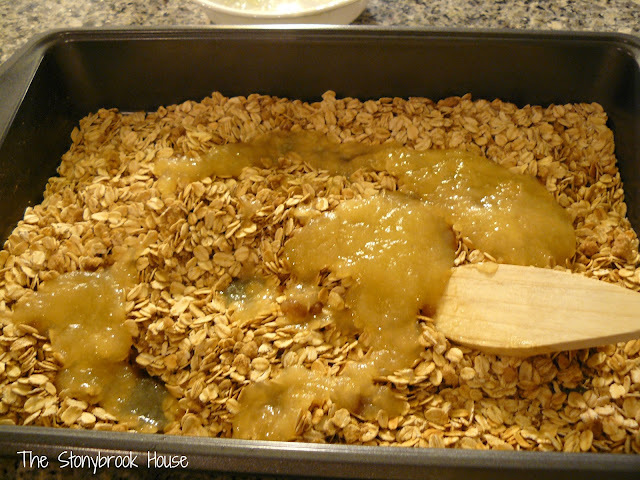 I would have never thought of putting applesauce in granola. Thanks, Nicole! 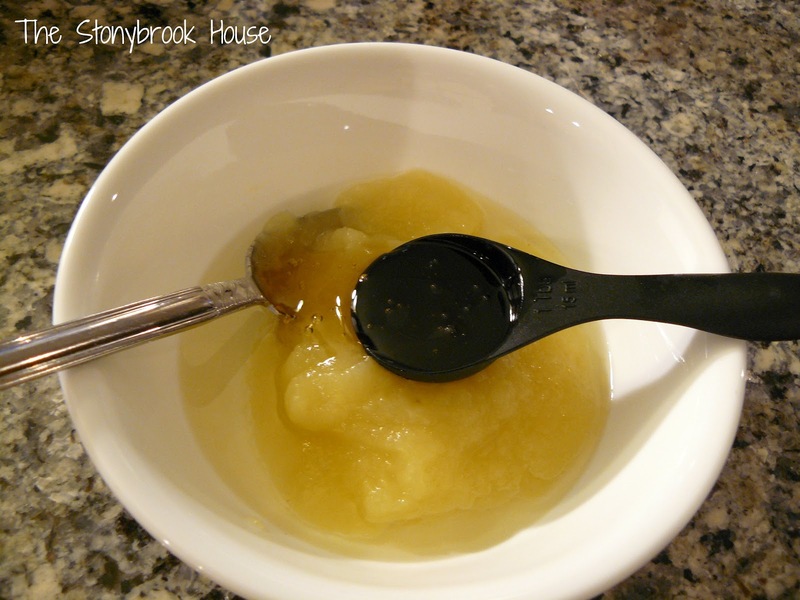 The applesauce really cuts down on the sugar and fat! 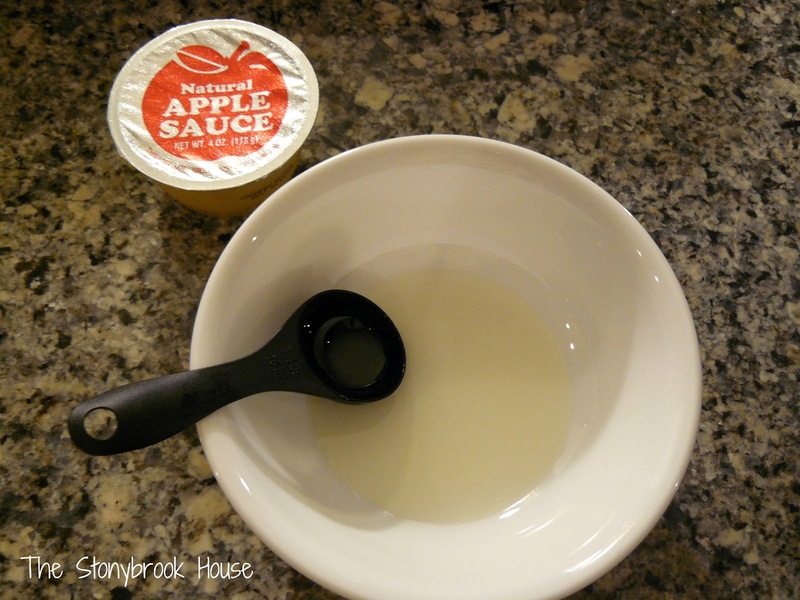 This looks delicious - I love the addition of apple sauce, I never would have thought to add that! Thanks for sharing at Beautify it Monday, we hope you'll be back next week! Thanks, Girls!! The applesauce gives it such a nice flavor! Thanks so much, Anne! It's really good! I hope you like it. Very easy to make! Mmmm...This does look pretty incredible! Pinning it for sure! Thanks so much for linking up at Feature Friday FREE-FOR-ALL! Thanks, Abbie! 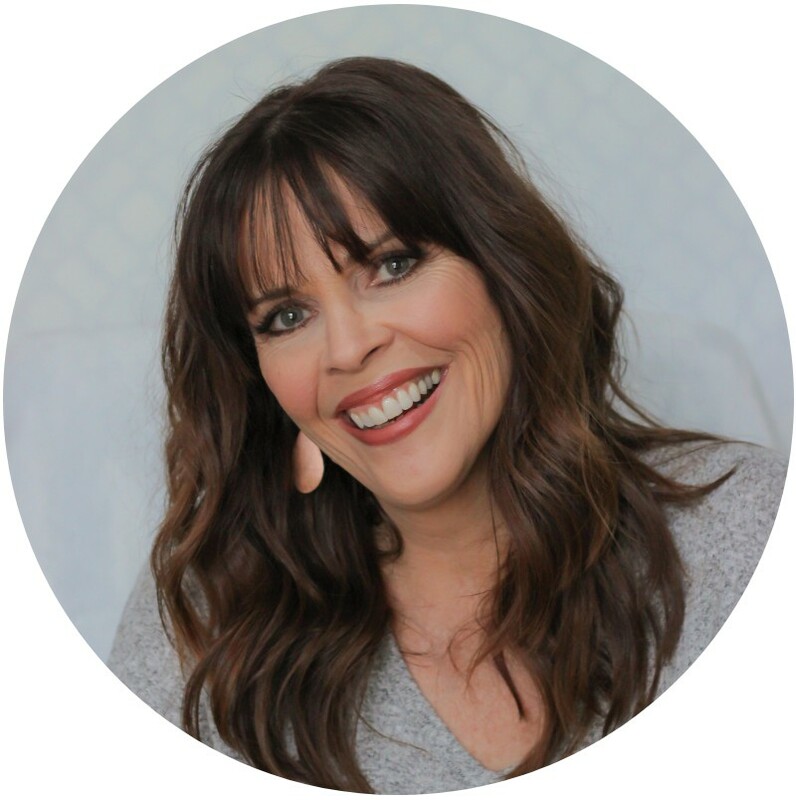 I love your blog! Thanks for the pin too!! It has been several years since I made granola. Homemade is always better. Thanks for the recipe, I have filed it away. Hi Nancy! This is one you'll practically memorize, you'll make it so much! Hi Lori, I am one of your newest followers. Just had to say thank you for this wonderful new Granola recipe! Looks wonderful and I am making. I also work in the bakery at a CHRISTian college......I will be making it there also! I pinned it to my Pinterest....it will bless a lot of ladies! Hi Linda! Thanks for your sweet comment! 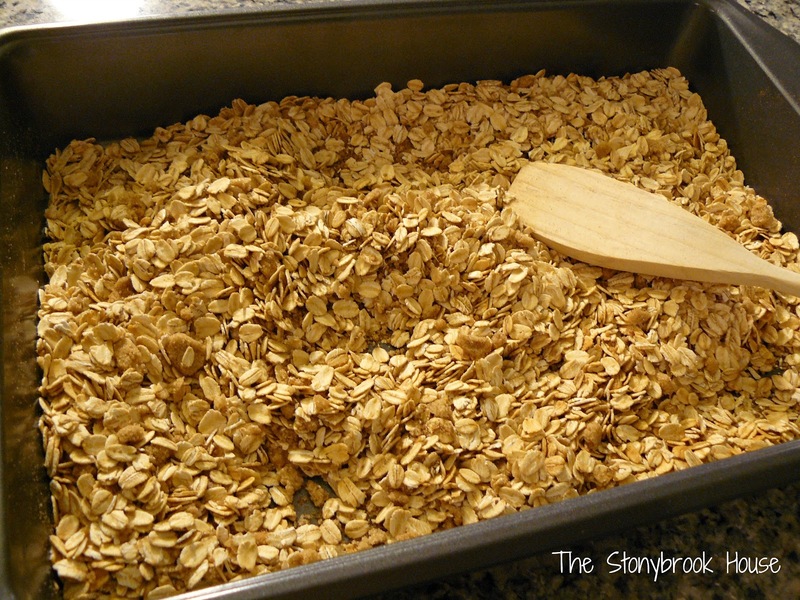 I hope you like the granola recipe, we LOVE it and I usually need to make it every week. How cool that you'll make it for a christian college! My daughter attends Liberty University and loves it. 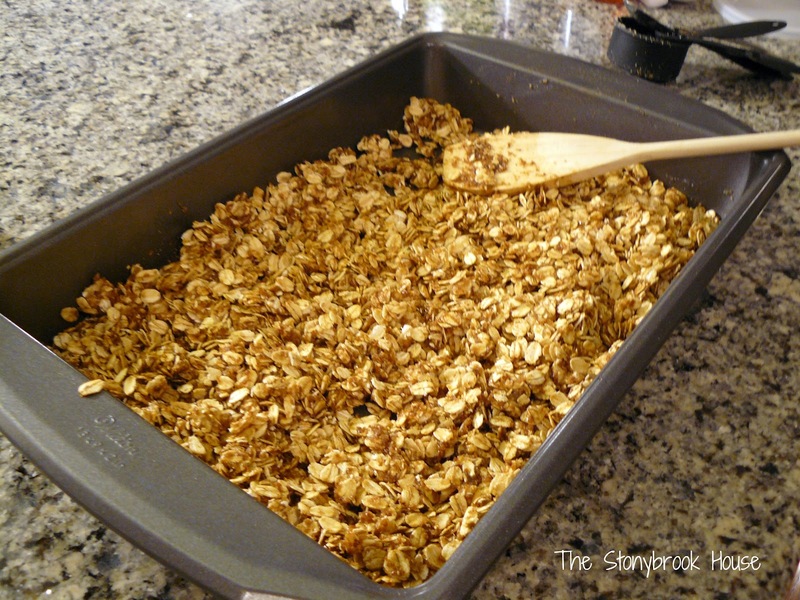 Definitely going to have to PIN this, hubby loves granola and you made this look super quick and easy! Thanks Christine! My hubby LOVES this! I still make it on a regular basis. Soooo good!